Is Declaring A State of National Emergency On Obama's Agenda? It is no secret that we have a President in office who is a known socialist. He has been linked to big name marxists like Bill Ayers and Frank Marshall Davis. His parents taught him to hate "colonial" America. He has also been linked to people like George Soros whose lifelong ambition is one world government. Obama is currently in support of a United Nations Small Arms Treaty that even many of his fellow Democrats oppose. We have all heard of the massive DHS build up of ammunition, AR-15s and MRAPs. We have heard the numbers and The Department of Homeland Security now has enough bullets to kill each of us 5 to 6 times over. Alex Jones says six times over but even five times is enough. These are not false reports. These claims can be verified through a government website that advertises open bid opportunities for those who do business, or seek to do business, with the federal government. For any of you who may doubt me, that website can be found here. This is exactly where the info is coming from that you read in the conservative media. I have two personal sources in the Western States that have kept me abreast of several happenings with the DHS and FEMA. There is a massive push to cross train these agents in various pursuits. They have recently been involved in urban combat training with those AR-15s. Many of them are being licensed to drive the big DHS buses now (rather than using private contractors as has been done in the past). There has even been some speculation about DHS or FEMA agents being taught to fly planes as of late. I have seen the pictures. I have them in my possession in fact, but I won't show them to you without first asking my source, and it's 4 AM. It's not going to happen this time. Something big is brewing but none of us can truly know for sure what it is or when it will happen. I have read the articles from DHS Informer like most of you and I don't know if they are credible or not. The conversations seem a bit scripted to me. But whether they are real, or fiction, does not really matter. We all know that something is in the works. We would have to be blind not to see it. A common belief in America is that The DHS has become Obama's "Secret Police." Why would we think any differently? 10,000 marines are given a pink-slip and DHS buys 1.6 billion bullets. It doesn't take a rocket scientist to see where the priorities lie. So how does all of this tie together? My theory is that they are just waiting for the right event to trigger a "national security emergency" so they can declare martial law. I cannot know if a real emergency will occur or if the Obama Administration is deceitful enough to throw a false flag at us, but I do know that something will happen. If nothing else, a Facebook Group is planning an ARMED march on Washington D.C. for July 4th. That would easily be enough to trigger a drastic change in our country. Why? You cannot "open carry" or "conceal" in Washington D.C. Both are very much against the laws there. Furthermore I have talked to two individuals who have told me that they, even though this march is being promoted as "peaceful," will be looking for an excuse to open fire. This cannot end well. People will either be in jail or in body bags. Their interpretation of the second amendment may be correct, but it will not keep them from being arrested in Washington D.C. and all it takes is one person who doesn't want to be cuffed, and… You know what will happen. I need people to understand how this ties together and to understand that this was probably planned last year. In my estimation, President Obama was laying the groundwork for the days to come back in 2012. I am pulling a few paragraphs from something I wrote several months ago, so you can follow my logic. President Barack Obama signed two executive orders in 2012 that could literally leave the American people without communication lines and without basic necessities in the case of a national security emergency. The first was on March 16, 2012. "On March 16th, President Obama signed a new Executive Order which expands upon a prior order issued in 1950 for Disaster Preparedness, and gives the office of the President complete control over all the resources in the United States in times of war or emergency. 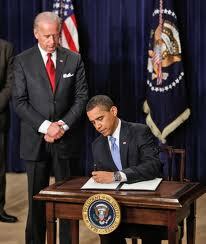 The second executive order was signed on July 6th, 2012. Our government, literally, now has the authority to take control of cellular services, landlines, and the internet. So what does all of this mean to us? In my opinion it means that we must be prepared. If you think that, if and when civil unrest breaks out, you will be able to log onto Facebook or call your cousin with the military-type arsenal in his basement, you may be sadly mistaken. You may not even have basic necessities like water, food and electricity. I do not have a crystal ball and I do not know how it is going to go down. 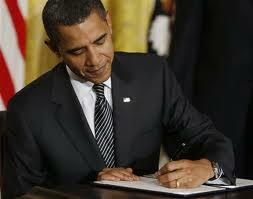 But I do know that I find it rather convenient that both of those executive orders were signed last year. Obama either saw a revolution coming or he planned a revolution. Whichever is the case does not really matter. What does matter is that the proverbial S could HTF at any time. We don't have to be the people who are ready to start a revolution to get caught up in one. For this reason, myself and 10,000 of my friends are asking you to join us to prepare for the worst. We are not planning any kind of rebellion but we are preparing for how we will react if the fight comes to us. This is not a group of gun-toting-swollen-red-neck-rebels. We represent a real slice of Americana. We have single parents who are scared to death. We have people who support the second amendment but are too poor to buy a gun. We have retired people who are disabled. We have military men and women. We are no different than your own home town with one exception. There are no liberals here. Some have tried to come into our haven but our administrators will not tolerate them for long. We started this movement two days ago, in total desperation to organize quickly. We have people who are teaching others about Ham Radios and survival. We have people teaching others about virtually everything you need to know if the situation becomes hostile. None of us want that to happen. We just want to be prepared if it does. The biggest benefit to our network, and the reason it is growing so quickly, is simply that people need to know people in their own area. The idea started after many conversations with those who felt alone and did not know what they would do in case of an emergency. Our goal is to grow our group large enough that you will have many people, in your local area, who you can lean on if times get tough in America. It is my belief that this day is coming sooner rather than later, but even if I am wrong…it certainly does not hurt to be prepared. If you feel the way I feel then please join us. It takes less than a minute. As of now we have ten regions and we will begin to break down into smaller regions as our numbers grow. I have met some incredible people over the last two days and I hope to meet you soon as well. Here is a list of groups. Please join the group in your area. If you need to join more than one, it is OK. In my case I am in "region 6″ but only 20 minutes from people in "region 7." Join us now while there is still time.